We are going to upgrade our forum site this weekend. The expected duration is several hours. Will post updated status on the upgrade progress here. TickQuest Inc., developer of the trading platform NeoTicker, has served the professional trading community for many years and has lately expanded into offering unique trading resources for retail traders and investors through its website DaytradingBias.com. Now, in addition to the free services already provided at DaytradingBias.com, extensive cloud based odds analysis are offered thru the introduction of its premium membership services. DaytradingBias.com is a website created to help retail traders and investors alike to make informed long and short term trading decisions. It provides a combination of proprietary analysis, traders’ chat room, trading related articles and educational ebooks to help traders better equip themselves in handling the current hectic trading environment. Analysis provided in the website emphasizes on quantifiable statistics that traders can use with confidence and clarity. Making proprietary research reports available online through premium membership represents a natural extension of what TickQuest has been doing to serve the trading communities. Premium members gain instant access to these exclusive analysis reports from the website without first learning the operation of any trading software. The initial set of premium trading analysis offered by DaytradingBias.com includes Intraday Cycle Projection, 3-Day Pattern Odds Table, Weekly Cycle Projection, and Hot n Cold System Tracking, with focus on Forex markets and the US stock market indices. To find out more about these analytical tools, visit http://www.daytradingbias.com. TickQuest Inc., one of the leading financial technology companies, provides trading and analytical tools to professional traders and financial institutions worldwide. Its flagship product NeoTicker is the industrial standard for custom market breadth research and analysis. I received enough emails that I think it is a good idea to just post the indicator here. It is not a big complex indicator at all. It is designed for use on charts that are not updating in real-time. First it is a formula indicator. Second it employs 2 tricks – one technical and one visual. The technical one is that the whole indicator has no valid plot value until the very last bar. At the very last bar, I used the highest and lowest value in range and expanded that by a percentage (with parameter control) to get proper scaling. As I already know how many bars I am going to show in the screenshot, it will work fine for the job. In fact, it will work fine for those of you interested in auto posting charts from NeoTicker to any website. The visual technique is simply using the dot style to plot the only set of valid values at the last bar in the background color of your choice. That way they disappear from the chart. We received update information from eSignal that its extended historical data will be made available thru its standard API (the one used by NeoTicker). My first thought – Great! We can now easily download a year of historical data from eSignal on the supported symbols. My second thought – Is the API stable yet? I will have to talk to my programmers right after Easter Monday to see how we are going to support this new API. Will keep you all posted on the development of this exciting news. Many users have experienced difficulties in moving their NeoTicker installation onto a new computer with Windows 7 and NeoTicker 4.40 (or higher). Here is a short explanation of what to do. 1. Clean installation of NeoTicker 4.40 (or higher). DO NOT INSTALL AN OLD VERSION FIRST AND PERFORM AN UPGRADE. Make sure there is no other old version files there. 2. Launch NeoTicker once. It will let NeoTicker copy all the necessary data files to the user document directory. 4. Copy your user files like windows, groups, indicators, cache data, etc. into the newly created NeoTicker4 data folder located at the user document directory under the TickQuest folder. At this point, when you launch NeoTicker, it will pick up your old settings and function properly from the default data location. Windows 7 is not Windows XP although they share the same name. You cannot copy user data into application directory without special permissions and changes to the user authorizations from Win7. By following Win7 standard and copy your existing user files into the document folder as outlined above, it will save you a lot of troubles from struggling with Windows 7 UAC (user access control) mess in the future. The advantage of doing a proper installation is that all you need in the future, when you move your NeoTicker from one computer to another, is to copy the whole folder located in the documents folder onto the new computer in the same location. No more messy selection of files from within the application direcotry to copy over to the new computer. It is Family Day in Ontario and our sales office is closed. Our office will open tomorrow at normal business hours. Introduced in version 4.30, NeoTicker has a new feature called Multiple Instancing allowing its user to launch and run multiple NeoTicker instances at the same time. I am going to cover the basic aspect of this useful new feature. NeoTicker 4.30 is fully compatible with Windows 7 (and Vista) Compatible. That means, you can install NeoTicker onto a Windows 7 computer without enabling Windows XP compatibility and there is no need to enable administrative rights in general. Wish You All A Prosperous New Year! 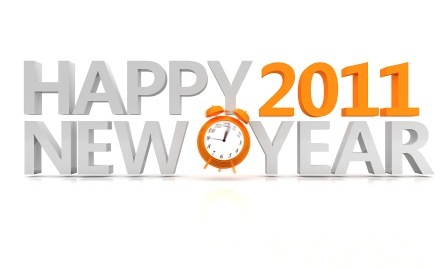 Everyone from TickQuest here wish our clients a happy and prosperous new year! We will be upgrading our company main site server on Dec 23, 2010 to better serve our customers. We are sorry for any inconvenience during the move. I’ve been asked quite a number of times if Microsoft’s latest .Net Framework version 4 will be supported by NeoTicker’s IDL indicator/system development environment. The quick answer is yes – it will be supported. The longer answer is that it will be supported by next release. Indicators written in .Net 3 or .Net 2 environment are compatible and can be deployed to NeoTicker running with .Net 4.